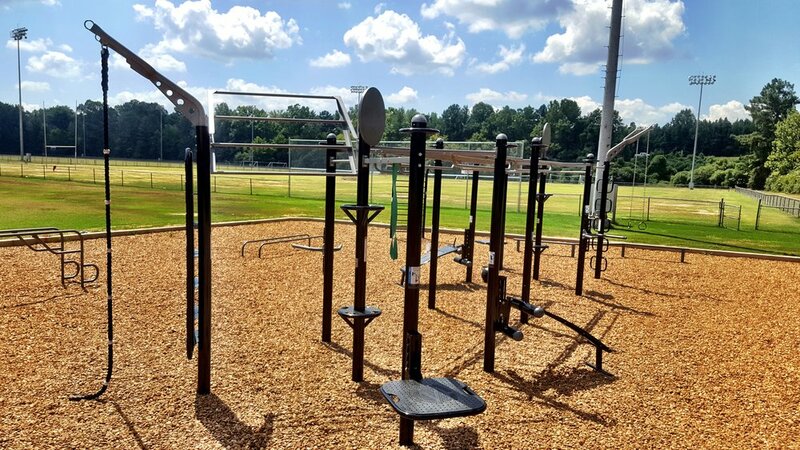 The University of Mississippi created a dedicated outdoor functional fitness area with MoveStrong and completed install just in time for Fall semester! 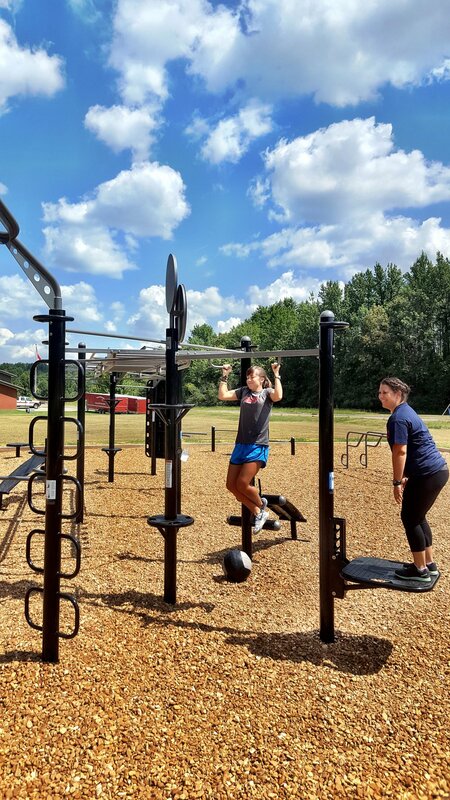 The University Recreation staff worked closely with MoveStrong to create a FitGround that combined the best of functional fitness and obstacle course training for thier staff and faculty. 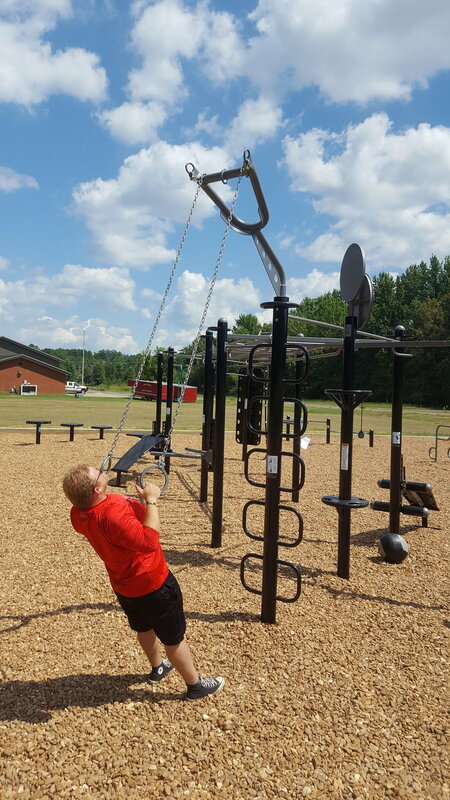 It will also be used by the University Rec and Fitness staff to conduct personal and group training workouts on campus in the great outdoors! 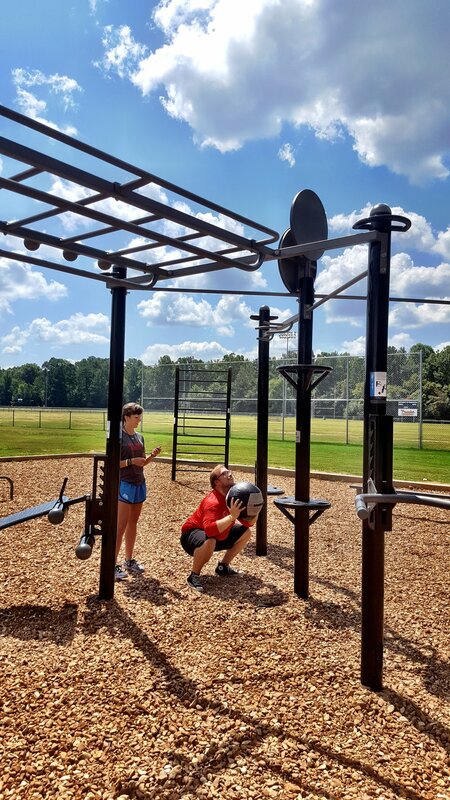 A customized MoveStrong T-Rex FTS with double monkey bar bridge, adjustable step, dip, Ab bench, Medicine ball targets, Climber bars, Kickplate, and Outdoor rings make up the main center piece. 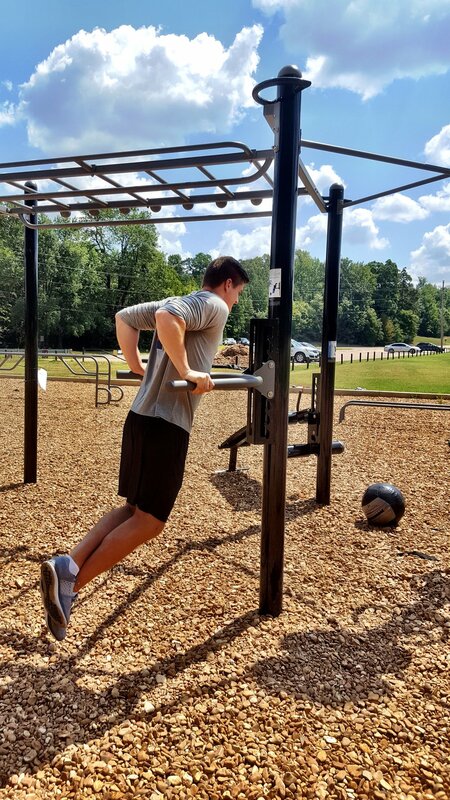 The individual FitGround stations include Zig-zag balance beam, Over/Under post, Stall bars, Elite Parallel Bars, Plyo-steps, and Push-up bars. 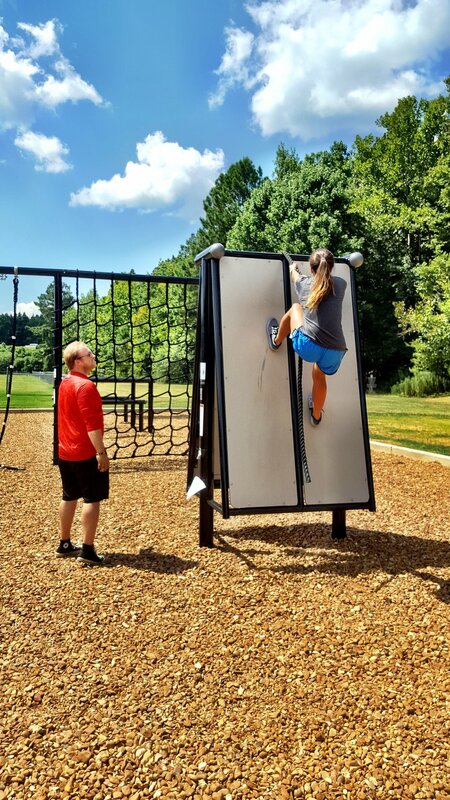 Obstacle orientated pieces include the Cargo Net with Rope climb stations and the new A-Wall Climber!